Need a new iPhone? Then start by looking at great deals on the iPhone 6S Plus at TigerMobiles.com. With a huge, cutting edge display, faster than ever processing power, and upgraded cameras, this is one of the best phablet devices around. Think you can handle it? 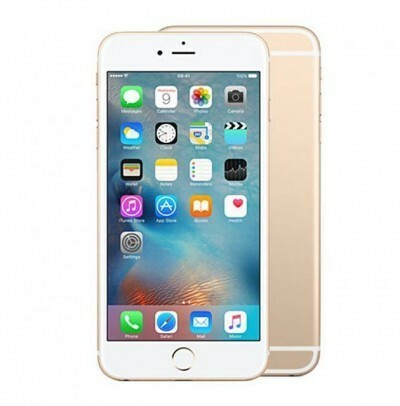 Then check out our fantastic deals on the iPhone 6S Plus in 16 GB, 64 and 128gb below! Given that Apple makes great tablets with the iPad and great phones with the iPhone, it just makes sense that they’re going to produce a great phablet too. The newest in their lineup is the iPhone 6S Plus, and what a device it is. With upgrades left, right and centre, this is one of the best phablets that we’ve seen, and it’s a looker as well. Why do you want to get your hands on one? It’s difficult to know where to start. There’s a huge, 3D touch screen, there are fantastic new cameras, and there’s a new chipset for more speed as well. The bottom line here is that the iPhone 6S Plus is incredible, and if you’re in the market for a phablet, then this should be your first choice. This is one good looking phone, though you’ll notice straight off that the 6S Plus is a little chunkier than the 6 Plus (because of that new screen tech, we hear). That does make the device more robust, though, as does the unibody glass and metal build. This is obviously an iPhone, with its sleek lines, rounded corners and minimalist look, but it’s bigger, and therefore better, at least for some. Looks aside you’re getting some mighty impressive specs here. There’s a bunch more speed thanks to a new Apple chipset, alongside some upgraded cameras, and then there’s that awesome new 3D touchscreen as well. Not a bad package at all. Phablets are an investment, and this one is going to cost you. But in the end, you get what you pay for, and if you’re looking for looks, power and performance, then the iPhone 6S Plus is going to be just the ticket. Performance has to be the first concern, and the iPhone 6S Plus appears to be running something like a dual core 2 GHz processor (though Apple doesn’t release numbers like that and can’t be compared to other manufacturers in this way). Whatever the processor, we do know that there’s the new A9 chipset on board, which Apple say is up to 70% faster than the A8. Plus, there’s now 2 GB of RAM, so you’re getting real responsiveness and great multi-tasking too. Operating system wise. Obviously this is an iOS device, and it’s running iOS9, the latest version, out of the box. This is still the familiar, intuitive interface that you love, but there are a couple of neat new things. There’s a low power mode, for saving that precious battery juice, for example. And there’s also a new “back to previous app” icon, so you can easily go back and forth between your favourite apps. Those extra speeds are noticeable on the 6S Plus, particularly when booting things up, and performance, in general, is just excellent. Even the most demanding user isn’t going to be able to overpower the 6S Plus! So what’s this whole 3D screen thing about then? The display is essentially extra sensitive, which allows it to know the difference between a touch and a press and respond differently depending on input. This gives you twice as many options, in the same way, that a computer mouse having right and left buttons do. It takes a little getting used to, but this is actually very useful. Regarding size you’re getting 5.5 inches, so not the biggest screen around, but still more than big enough for excellent on-screen typing and reading. On to resolution then, and this is a 1080 x 1920 display, making it around 401 PPI. That’s not the whole story, though since this is a Retina display with LED backlighting and IPS. Put that means that this display is awesome. Colours are true, images are sharp and precise, and viewing angles are wide. If we were forced to choose we’d say that this is probably the best display around right now, for picture quality alone. Add in 3D touch, and you’ve just made an incredible display even more unbelievable. There’s been a surprising development on the camera front in that there’s been some upgrading going on, which is unusual for Apple. At the front, there’s a 5 MP camera, perfect for FaceTime and video calling. It’s got screen flash too, which is a nice touch that allows the display of the phone to act as a flash for the camera. Behind you’re now getting a 12 MP affair, a big difference from the old 8 MP cameras we’re used to seeing from Apple. There’s the full host of features too, including phase detection autofocus, 4K video recording, optical image stabilisation, dual-LED flash, and then some impressive 4609 x 2592 resolution as well. Photographers will be jumping for joy since the 6S Plus takes better pictures than ever before. If you like your snaps (and who doesn’t these days? ), then the 6S Plus won’t disappoint. Hold up, we’re not quite finished; there are a few other things too. The 6S Plus does have a fingerprint scanner for extra security. It’s also equipped for Apple Pay, Apple’s digital wallet and payment service. How about a fancy new camera mode? Live Photo lets you take video and a photo simultaneously, resulting in a still photograph along with a short, 3-second video of the time surrounding the picture. Neat, right? Last, but not least, Siri has been upgraded too. She’s even more useful than ever and can understand more complex commands (but she’s still pretty sarcastic). There are a fair few phablets around right now, and some pretty good ones, but the iPhone 6S Plus blows the others away. With excellent performance specs, that beautiful 3D touch display and it’s great new cameras, the 6S Plus is everything you could ever want from a phablet. What about connectivity then? It’s the usual: 3G, 4G, WiFi and Bluetooth, though advanced LTE tech should mean you’re getting faster mobile data speeds. Regarding memory, you’re getting 16 GB of internal storage on the base model, which isn’t very much. Couple that with a lack of SD card slot (meaning you can’t add more memory), and you’re going to have to watch that storage very carefully. What don’t we like here? 16 GB of internal memory is pretty small, especially for a phone as big and powerful as the 6S Plus, though you can always use online cloud storage if necessary. Other than that, we’ve got no complaints. The iPhone 6S Plus is a fantastic device, one that will please even demanding users, and just a great piece of tech!